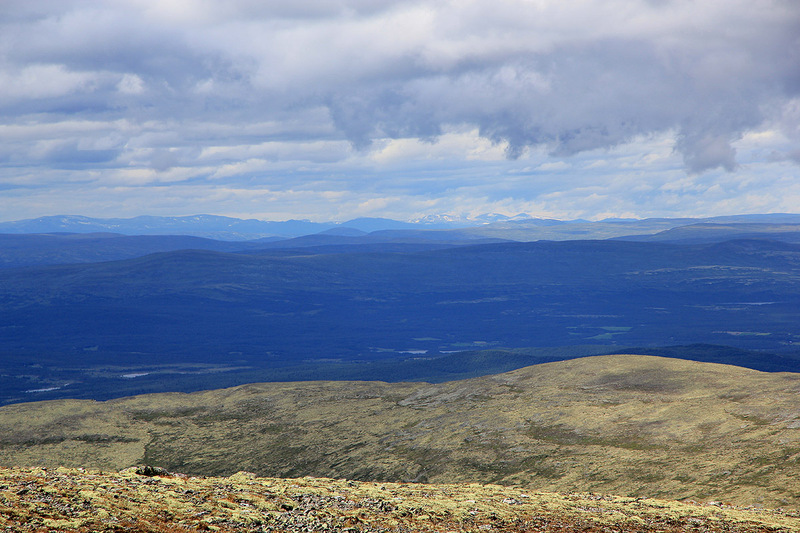 Near the east side of central Os, locate a road that goes south with a sign saying "Hummelfjell". This is in Os, ie., west of the road fork where Hwy. 28 runs south. Measure from here. Continue about 2.1 kilometer to a toll gate. 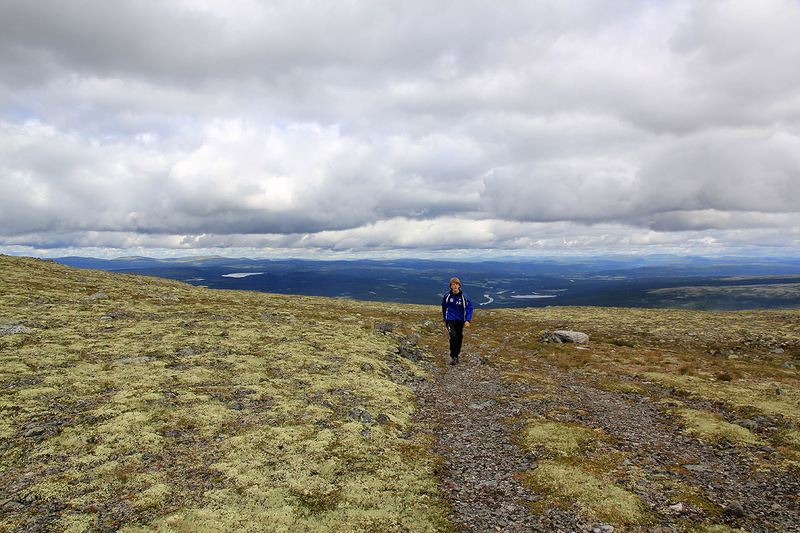 Pay at a machine (NOK 30 in 2010) and continue the road uphill. There are a few side roads, but stay on the main road that goes uphill. At kilometer 3.5, there is a parking area, if you go straight where the main road makes a right curve. This is a good place to park, location N62:28.516, E011:13.838, elevation about 832 meter. The road that runs all the way to the summit branches off Hwy. 28 about 3 kilometer south of Os. From the parking, proceed about 50 meter along the main road, ie. walk back to the right turning uphill curve and locate the first side road that forks left and runs directly uphill in order to serve a few mountain vacation homes. Walk up this road to the top and locate a trail there that heads a bit to your left (as you face uphill). Follow this trail, it gets bigger as you go. This trail gradually runs uphill and passes by the top structure of a small ski lift. 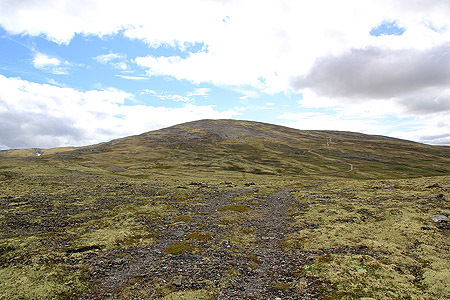 Continue along this trail as it climbs left and eventually crosses a small ridge before hitting the dirt road that serves the summit of Gråhøgda. You may now follow the road to the summit or just continue straight uphill, the terrain is very soft and easy to walk on. 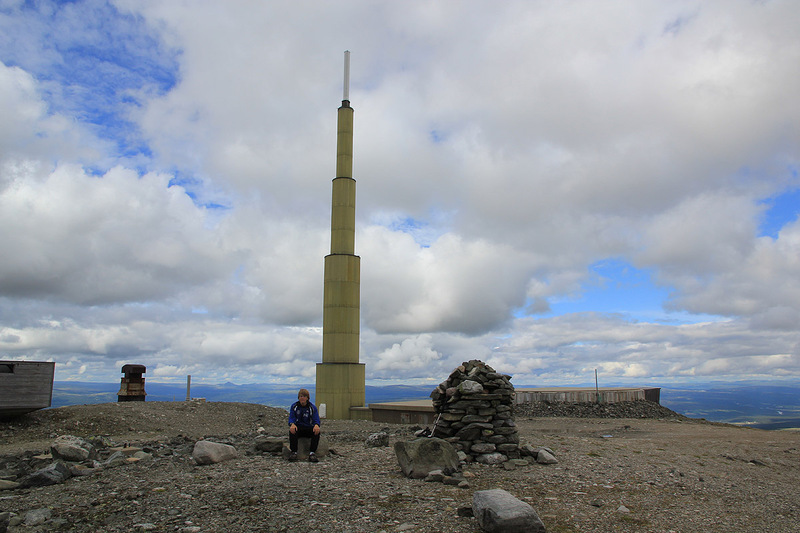 The summit area has quite a few strange structures. There is a big tower, then a smaller tower at a slightly lower location. 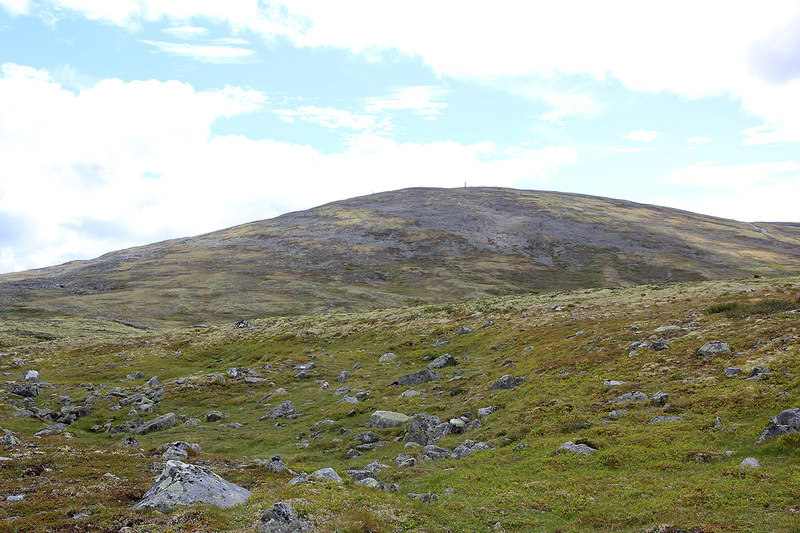 There is also a cairn that marks the highest point. I did this trip with Pål Jørgen. We had left Trondheim around 0900 and failed to notice that driving via Røros would have been about 40 kilometer shorter than the route vi drove (to Tynset). 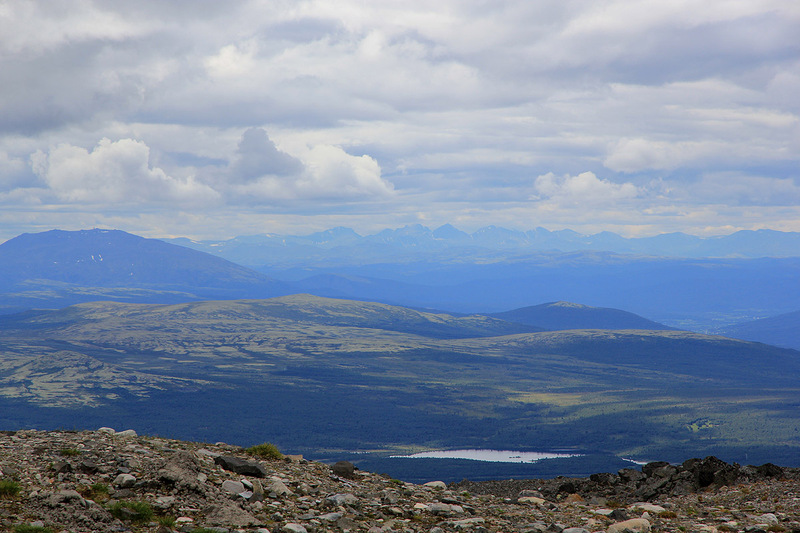 We were ready to hike around 1135 and walked along the nice trail, reaching the summit at 1300. We looked around until 1310, then hiked back down to the car in about one hour. We had mostly overcast weather, but also sunshine now and then. It is not easy to understand what purpose most of the summit structures might have.